Karen and I attended this 2011 Republican Jewish Coalition dinner in Beverly Hills where Andrew delivered a barn-burner of a speech. There was no teleprompter. Andrew had no notes. He just got up on the stage and shmoozed with the audience. This talk is notable because Andrew identifies his Conservative awakening with a Reform rabbi so dopey, so liberal, that he delivered a pulpit speech in support of race-hustler Jesse Jackson in the immediate aftermath of Jackson’s ghastly Hymietown comment. After the speech, Andrew and I chatted for a few minutes. Graciously, Andrew thanked me for my contributions to Big Hollywood. And once again he talked about his plans to start Big Jerusalem, a website devoted to supporting Israel and unmasking the bias and Jew-hatred that infects the mainstream media. I told Andrew that I looked forward to writing for such an important endeavour. I was amazed that Andrew took so much time to talk with me when there were important politicians and high-rollers waiting to have a word with him. Andrew smiled and laughed and seemed to have all the time in the world as he joked with me about the oh-so-tolerant Hollywood liberals who routinely make common cause with butchers like Castro, Chavez, and Ahmadinejad. As Karen and I drove home I remember thinking to myself what a shame it was that our late son Ariel, a huge admirer of Dennis Prager, Larry Elder and Hugh Hewitt, never had the chance to meet Andrew. But now, too soon, that encounter will take place. Baruch Dayan Emet. Blessed be the true judge. Karen and I wish all our friends and relatives a meaningful Shabbat. Last night Karen and I attended the annual Republican Jewish Coalition Summer Bash at the Hilton Hotel in Beverly Hills. We have been members of the RJC for many years. I vividly remember the first time Karen and I learned of the RJC’s existence. We looked at each other and wondered if their meetings took place in a telephone booth. Okay kids, pay attention. 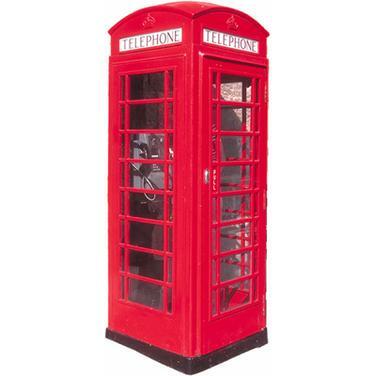 This is a picture of a te-le-phone booth. A long time ago in a galaxy far, far away, people did not have cell phones. They would frequently step into the booth, slide coins into a slot and dial a phone number. I know, this sounds like a Sci-Fi tale, but it’s actual history. Each year the RJC Summer Bash grows bigger, membership increases and the RJC’s imprint on the national political landscape blossoms. Confession: Yours truly likes to sit in his home office, write movies, watch movies on TCM, and stare adoringly at the love of my life Karen. So: for me to get up, put on suit and tie and schlep down Wilshire Boulevard, clip a dopey name tag to my lapel and mix with real live human beings takes something of an effort. It’s a measure of the importance of this organization that Seraphic Secret actually looks forward to the RJC Summer Bash. Karen’s wearing a pencil dress that channels Valentino’s signature red. This is excellent because in the initial crush of bodies I just fix my eyes on Karen’s, um, redness, and follow along. Newt chuckles and points to my dopey name tag. “Thanks so much for your support, ” I say. And then he shakes Karen’s hand. Hey, that was really fun. Here’s the thing that catches my attention about Ros-Lehtinen: She was born in Cuba and as a child was forced to flee by the mass murdering Communist regime. In short, this is a woman who has experienced evil. 1. Newt is not a fiery speaker. He’s smart, really smart, and in measured tones outlines the problems America faces and then formulates real-world solutions. Here’s the text of his entire speech. Pay particular attention to the nine points he sets forth regarding Israel. They go against everything the Obama regime stands for. 2. Rep. Kevin McCarthy, the House Majority Whip, represents the 22nd District of California. He talks about the importance of small business. It occurs to me that the Republican party is the party of what was once known as the worker. A more accurate description is entrepreneur. McCarthy hammers away at what should be obvious: government does not create jobs or wealth; government creates bureaucracies whose only mission is to grow larger and shuffle ever more mountains of paper and electronic data. One word to describe McCarthy: Presidential. 3. A total OMG moment: Joel and Julia Pollak. Joel is from Chicago, an Orthodox Jew who ran unsuccessfully for Congress. An outspoken and articulate Conservative, Joel did not thrive in the cesspool of Chicago politics. Unlike Obama, Joel actually has a moral compass. Anyway, seeing the future, Joel and his wife have moved to Santa Monica. Here’s the thing that fires my movie antennae: Julia Pollak, lovely and with a melodious South African accent, covers her hair with understated modesty like a rebbetizin. Plot Twist: Julia Pollak serves in the U.S. Navy. Her specialty, repairing and maintaining helicopters. I told you: Republican women are feisty. Julia is now an American citizen, so she is a genuine African-American. Later, Karen and I talk amiably with Joel and Julia and I’m totally flashing on Brigitte Bardot in one of my all time fave bad movies: Babette Goes to War. Hence the picture of BB above. Andrew Breitbart closes the evening with a barn-burner of a speech. No notes, no teleprompter. Andrew just rolls like Sherman marching through Georgia. He traces his conversion to Conservative politics to a moment in synagogue when a liberal rabbi demonized Israel in favior of Arab terrorists. Andrew’s father tapped little Andrew on the shoulder and told him it was time to leave. Indeed. Common sense to the left is a foreign country. Afterwards, Karen and I chat with Andrew for a few minutes. In fact, I work for Andrew when I contribute to Big Hollywood. Andrew is planning a new site: “Big Jerusalem” and I offer to help in any way I can. It was not a perfect evening. You know why? Ladies, if I may. Heidi Klum looks okay in a pants suit. But she’s got no hips, no bosom and legs that go on forever. She can get away with it. Sorta. 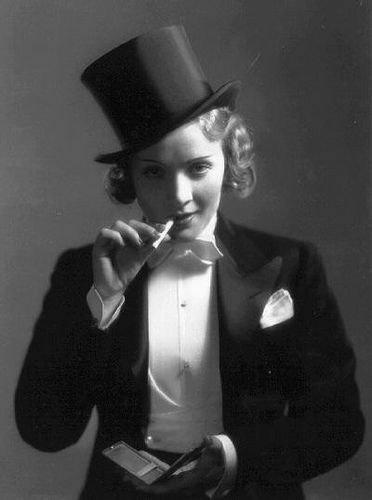 Marlene Dietrich looks, um, exotic in a men’s tux. But then she was bisexual so the vibe fits. Sorta. t normal women with normal bodies—hip, thigh, and bosom—look, um, not so great. Republican women are at their best best in skirts and dresses. Y’know, feminine attire. Look, I’ve been working in the film business for over twenty-five years and in all that time I have never heard a costume designer suggest we put an actress in a pants suit because it’s glamorous, flattering or slimming. Usually they do it to make the actress look tough and masculine. In short: butch. So. Leave the pants suits to Hillary Clinton and Debbie Wasserman-Schultz who look remarkably like West Hollywood female impersonators.